And die for our sins to be healed. From the Pharaoh's enslaving hand. To prevent Christ from being Killed. One must be a servant to all. As a covenant to ease man's strife. 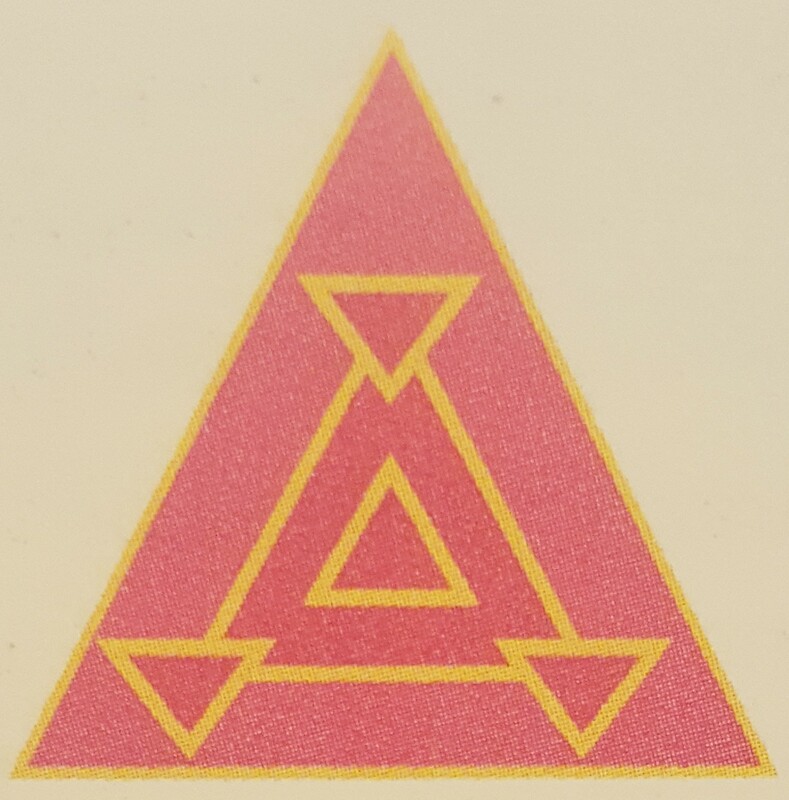 From Royal Arch Masonry stems a number of various groups like the Allied Masonic Degrees, Knight Masons, the Operatives, and one of the least known is the Masonic Order of Pilgrim Preceptors. I say it is least known as it is primarily found in England, and even there it seems like a relatively small organization. The legend of the Order concerns a Fourth Grand Lodge held in Rome, and the coming of Christianity to Britain. The prerequesites for this Order are that one must be a Past First Principle (comparable to Past High Priest in the US) of a Royal Arch Chapter and a Past Master of a Blue Lodge. Pilgrim: Having beheld the ruins of the Holy Temple of Jerusalem, the aspirant journeys to Rome where he gains sanctuary in the catacombs. He is then ordained a Pilgrim and successfully appeals to the Emperor for the restitution of the sacred landmarks of their religion, and in consequence is summarily rewarded with a token of his new calling. Preceptor: The postulant is instructed that the truths revealed during seven major events across the aeons of time have materially contributed to the wisdom of man. 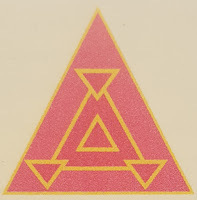 It relates that with the assistance of the emblamatical lights of Masonry, those tenets and principles were duly restored in a fourth fraternal Lodge, as mirrored by the four triangles. The regalia for this group is that of a Royal Arch Mason plus a collared jewel (see image on the right). 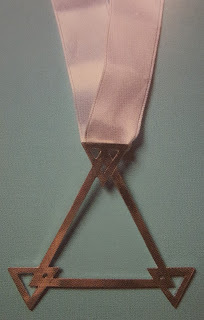 Recipients of the degree of Pilgrim wear a 1/2-inch wide brown ribbon with the triangular jewel. Recipients of the degree of Preceptor wear 1/2-inch wide white ribbon. The Illustrious Preceptor and Past Illustrious Preceptors where a 1/2-inch wide purple ribbon. Provincial Grand officers wear the same ribbon as the Illustrious Preceptors except the purple ribbon is 1-inch wide. Grand officers wear the same jewel as Provincial Grand officers but the ribbon contains gold emblems on each side denoting rank. This group traces its origins back to the 19th century where three Royal Arch Masons, who are described as "erudite thespians," in Northwest England. During the first century, it was merely a degree conferred on very few who kept the degree going. It wasn't until September of 1984 that the first Conclave was formed. As of 2012, there are twelve Conclaves: eleven in England & Wales and one in the United States of America. 3. Jackson, K. B. (2012). Beyond the Craft. Lewis Masonic. In my article "A Brief History of Anti-Masonry", I covered anti-Masonry from its earliest appearances to the mid-20th century, but I did not cover modern anti-Mason personalities like David Icke or William "Bill" Schnoebelen. While I see both as truly ignorant about what Freemasonry really is, the latter is particularly vicious in using faith and a seemingly fabricated Masonic resume to denigrate and defame Freemasonry. 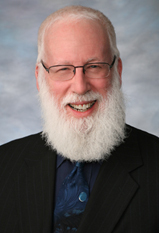 William Schnoebelen is a fundamentalist "Christian" who has lectured against a number of things including Freemasonry which he claims, poorly, to have been a member among several other things. 09/22/73 - 2nd and 3rd Degrees- "High Priest and Magus"
04/30/77 - 2nd Degree- "Warlock" (Church of Satan- same as 6th Degree Alexandrian- "Adeptus Major"
Born in 1949 in Jessup, IA, to a Catholic family. He became disillusioned with the Catholic Church after the changes that came with Vatican II. He claims that a Priest at his college is the one who turned him towards the occult and witchcraft, and it was a witch who pushed him towards Freemasonry. On analyzing his own reported timeline, I see no discrepancies in advancing through the Blue Lodge, for that time frame; 6-months from Entered Apprentice to Master Mason. However, there is one problem I see. By the dates, he received his degrees in the Blue Lodge, his Entered Apprentice was on a Thursday, his Fellow Craft was on a Monday, and his Master Mason was on a Wednesday. Lodges traditionally meet on a specific day of the week (especially if they meet in a building with multiple Lodges and multiple appendant bodies there as well). There are always exceptions to the rules, but having each degree on a different day of the week just seems too much for me to swallow. Schnoebelen claims to have joined Kilbourne Lodge No.3 in Milwaukee, WI, where he claimed to have served as Junior Warden. However, that Lodge no longer exists and merged with another, but in communicating with the merged Lodge's Secretary, other Brothers have found that there is no evidence that he was ever actually a member; no petition, no mention in any of the minutes, nothing. In "Masonry: Beyond the Light", Schnoebelen says that he was "deeply involved in American Masonry for over nine years..." However, by his timeline and by other claims of his, he was not active in Freemasonry for 9-years. Other Brothers who have investigated Schnoebelen have said that the documents he reproduces in his book are false, using fabricated seals to stamp the certificates. His claims about the York Rite make me hesitate slightly, but his claims are still plausible. One reason I hesitate is that he numbers the York Rite degrees and orders, but most York Rite Masons know that we don’t use a numbering system, but maybe he did this for people who don’t know too much about the York Rite. While today the Super Excellent Master isn’t conferred regularly, it’s possible that he did receive it in his day. However, to think that he received the degrees of Mark Master, Past Master (V), Most Excellent Master, Royal Arch, Royal Master, Select Master, and Super Excellent Master in a single day is almost unfathomable because of the amount of time it takes to confer all of them. Then his Masonic claims take a turn for the weird and completely absurd. He claims to have received the 90° in the Ancient Primitive Rites of Memphis & Mizraim. For those who don’t realize, generally considered clandestine by most Grand Lodges, specifically the UGLE and American Grand Lodges. These rites are worked in a few countries like Bulgaria, Italy, Romania, and the Dominican Republic, however, from Schnoebelen’s testimony he did not travel to any other jurisdiction. From a link, he provided, it was the International Order of the Ancient Primitive Rites of Memphis & Mizraim and that is not a recognized appendant body in American Freemasonry. The Rites of Memphis & Mizraim are no longer worked by legitimate American Freemasons, but are now under the jurisdiction of the Grand College of Rites. You would think that he would have shared this news of joining Memphis &Mizraim, and they would have informed him that joining such a group would have resulted in his expulsion. This group is seen as clandestine or irregular as it claims jurisdiction over Ancient Craft Masonry, the International Order allows women in, was seen by many as spurious at best, and nothing more than a money-making scheme to dupe title seekers out of money. It gets stranger though. Three years later he joined the Scottish Rite and advanced to the 32° which seems weird that he would go back to the Scottish Rite after joining the Rites of Memphis & Mizraim, and supposedly receiving the 90°, a group which includes imitations of the Scottish Rite degrees. With both the York Rite and Scottish Rite, I cannot find where he gives the names of the specific bodies he is a member of. In 1981, Schnoebelen claimed to have received the 34° of Palladium Masonry. For anyone who has researched Freemasonry, this claim sends up several red flags. Per conspiracy theorists and anti-Masons, Palladium Masonry is the very top of the Illuminati pyramid and the overseer of all Masonic rites, united under some sinister and Satanic agenda. Palladium Masonry is the invention of a Frenchman named Marie Joseph Gabriel Antoine Jogand-Pagès, but better known by the pen name of Léo Taxil. In 1885 and 1886, Taxil published works which attributed Palladium Masonry to Albert Pike, although this is just one of the many fabrications he concocted and duped the world with. This order was said to practice devil worship, perform murders, and other such horrors. However, doubt began to spread about his published lies and on April 19, 1897, he confessed that it all had been a hoax to embarrass Freemasonry as well as the Catholic Church. His pagan and Wiccan claims are pretty sketchy as well. Suffice it to say many of his witchcraft certifications are a result of his imagination. Other claims like being a Bishop of the "Old Catholic Order" is found to be fraudulent group founded by a guy who had no theological training at all. One constant though in reading through this article is that Schnoebelen craved power and authority. In one such instance, Schnoebelen was thrown out of the Church of All Worlds by co-founder Morning Glory G'Zell for "power tripping." Another theme that I found reading through his own words and the research of others is that for the clear majority of his claims he provides no proof. Through these mail order courses and fractured wiccan experiences, he started his own brand of Wicca in the Milwaukee area where he was found by many to be on authority trips. Some were surprised when he left his Wiccan life behind to join the Mormon church for a few years before he became a "born again Christian." He claims he was saved after a visit to the bank when someone wrote on a returned check that she would pray for him and his eyes were opened to all the evil he had been involved with. However, I think there may be another reason. I think it is probable that he burned enough bridges with the Wiccan community that he really had nowhere else to go. The Christian conspiracy lecture circuit was a ripe environment for him: an eager audience of fundamentalists who see the devil around every corner and Bill, a newly saved Christian with a pagan past...like lambs to the slaughter. Televangelists have always capitalized on preaching by using new mediums and Schnoebelen has taken the next step in using YouTube to spread his fundamentalist message. Brother Ed King, of MasonicInfo, states "William J. 'Bill' Schnoebelen must be one of the world's most gullible individuals," but I think he is being too nice about Bill Schnoebelen. He attributes naiveté to Bill's fabrication of his past, but I suspect that greed would be motivation to lies. It seems he joined and was a member of each of the groups listed, only to find them evil. He travels around lecturing to the ignorant and fanatics who fall for his shtick hook, line, and sinker. He's able to tap into their fears and ignorance to bilk them out of their money. When you go to his website "With One Accord Ministries," you'd think that you had entered an online store rather than someone preaching the Good Word. The entire website sends a message that he is there to make money. From UFOs to Wicca to Bio/Nuclear Terrorism, Bill pretends to be an expert and he'll lecture about just anything for the right price. One reason I see that most people believe him is that he is said to have actually dabbled in witchcraft, but he's using an ounce of truth to cover a pound of lies. Schnoebelen mixes terms and titles from several different religions and organization, and there are too many inconsistencies to ignore. It seems he needs to come out with fresh material he creates a new sage of his life in a new occult or dark group where he spent years as a member and/or leader until he suddenly discovered it was evil. I'd say he sounds like the traveling con artist from the Simpsons cartoon series selling a faulty monorail, but he seems like more of a Pied Piper. A Pied Piper is defined as "a charismatic person who attracts followers a musician who attracts mass a leader who makes irresponsible promises." The legend of the Pied Piper dates to the town of Hamelin in the Lower Saxony region of Germany during the Middle Ages. The town hired a piper, dressed in multicolored, or pied, clothing to lure the rats out of town. When the town refused to pay him, he used his magical pipes to lure the children out of town, never to be seen again. The legend is a metaphor for someone who is a charismatic person who attracts followers or a leader who makes irresponsible promises. He attracted an audience and is misleading them with false promises of what Freemasonry is. He's using fear to swindle people out of their money. As a Christian I find him appalling and I see his manipulations as an ultimate blasphemy. From the research and massive amount of inconsistencies, I cannot find any reasonable proof that was actually a Mason. To me, there's enough inconsistencies to call his past into question and it shows him to be nothing more than a fraud. 5. de Hoyos, A., & Morris, S. B. (1997). Is It True What They Say About Freemasonry? Silver Springs: Masonic Information Center. 12. Schnoebelen, W. (1991). Masonry: Beyond the Light. Ontario: Chick Publications.